The beta decay of this exotic isotope is followed immediately by the emission of neutrons, a phenomenon called beta-delayed neutron decay. These neutrons were used to test and characterise the performance of MONSTER (Modular Neutron Spectrometer). It is a a new detector array built by an international collaboration with groups from CIEMAT (Spain), VECC (India), JYFL/HIP (Finland), IFIC (Spain), and UPC (Spain). 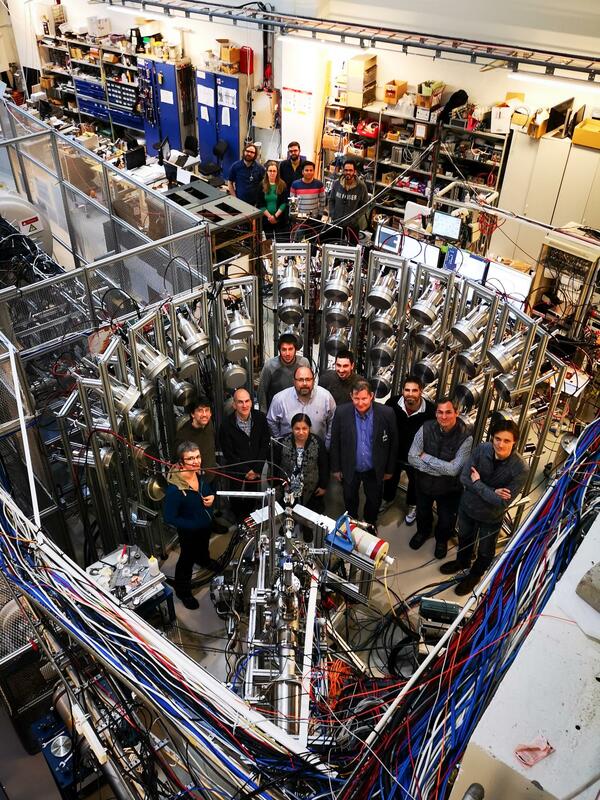 The construction of the device is partly funded by the budget of FAIR (Facility for Antiproton and Ion Research), an international research center currently being built in Germany. “As expected, MONSTER turned out to be the most precise instrument built so far to determine the energies of delayed neutrons”, said Senior Researcher Heikki Penttilä. While the main purpose was to test the performance of the detectors, the experiment also improved significantly the primary data for this particular decay, contributing to our understanding of nuclear structure. Knowledge of the energies of delayed neutrons is essential for nuclear astrophysics, nuclear structure physics and for more accurate simulations of nuclear reactors. The MONSTER detector was originally designed for experiments at FAIR. After the success of the test experiment, the research collaboration is now looking forward the possibility of running a campaign of nuclear physics-motivated experiments in Jyvaskyla in the near future.